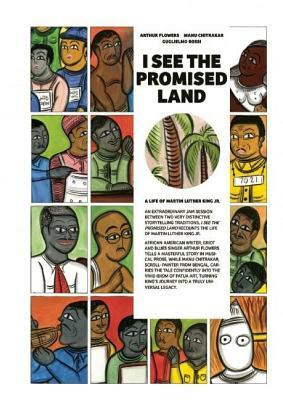 I See the Promised Land traverses the milestones of Martin Luther King Jr.'s short life, ministry, and journey. This graphic narrative brings together two diverse yet dramatic traditions of storytelling. Renowned African American writer and griot Arthur Flowers tells a talereplete with destiny and the human condition to Manu Chitrakar's extraordinarily vivid and eloquent art of the Patua folk style of West Bengal, India. Arthur Flowers: Arthur Flowers is an African-American writer and griot, bard and blues singer. He is the co-founder of the New Renaissance Writer's Guild. A native of Memphis, TN, he currently teaches in Syracuse University in New York state. Manu Chitrakar: Manu Chitrakar is a Patua artist from West Bengal, India.